Based in Vancouver, Canada, OKOKO Cosmétiques is an avant-garde, luxury skincare brand that design next-level organic skincare. green luxury products that are designed to tackle frustrating skin problems and visibly improve the skin. Each product blends exquisite botanical ingredients with clinically proven natural actives to help reveal a fresh and renewed complexion. Our mission is characterised by transparency in labeling, clean ingredients and an environmentally-conscious ethos that includes everything from sourcing to production. We design for savvy and discerning consumers that are selective about the ingredients in their facial skin care products. The products address acne, inflammation, skin clarity, hydration, damaged skin, hyperpigmentation and provide antioxidant protection. Okoko’s goals is excellence in product formulation, an amazing experience and beautiful, visible results. new l'Élixir de Pureté, PRESTIGE EDITION here . based on customers needs, feedback and desires. Watch our new narrated video: the making of the Sublime balm (behind the scenes). Our range of products has been upgraded with even more innovative and specialized ingredients and actives. 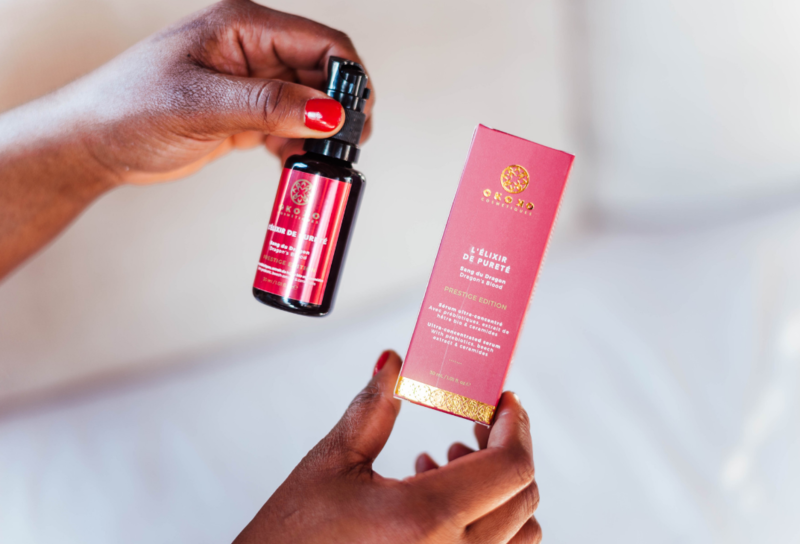 At Okoko Cosmétiques, we design to provide the most advanced organic formulations and allow for our customers to continually obtain the best results using the most effective precious ingredients. Through continuous research and development, we have added components that boost efficacy, utilize the highest grade of ingredients, maximize the artisanal craftsmanship of our products and appeal to the savvy and discerning green beauty consumer. 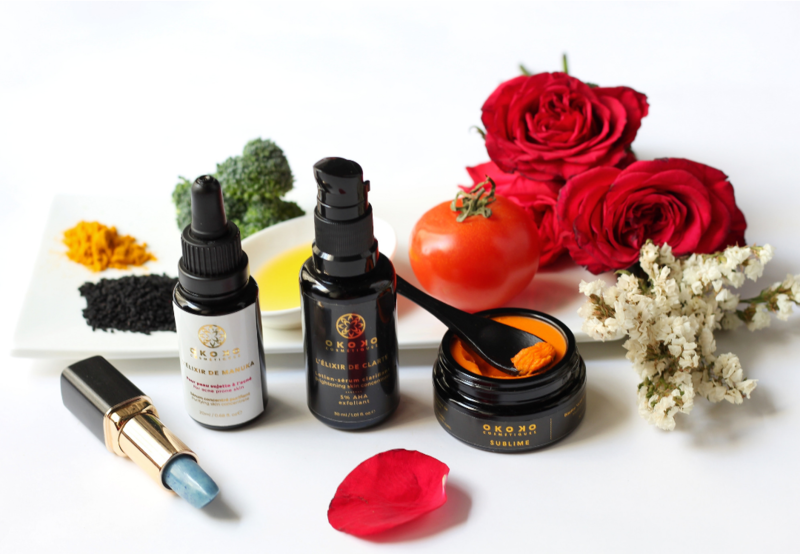 Our skincare line is made of ingredients such as Canadian glacial clay, moringa extract, pomegranate extract, bakuchiol, calendula CO2, Dragon’s Blood resin and willow bark extract, all carefully sourced locally and abroad from trusted suppliers that do not conduct animal testing. 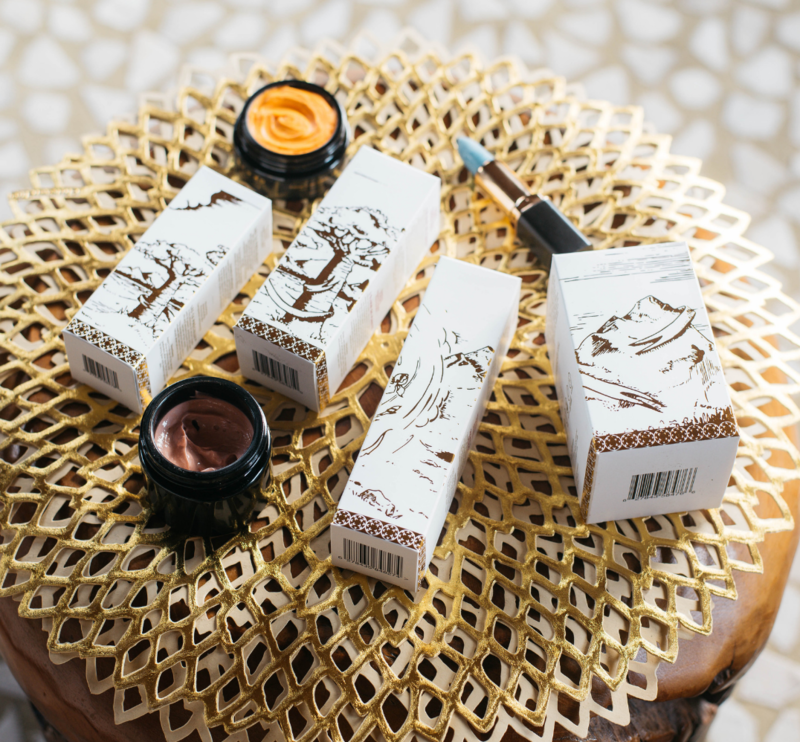 Okoko Cosmétiques is a cruelty-free approved brand by Leaping Bunny. This means that we do not test on animals. Also, our line is EU certified which means that our products meet the strict European safety. Our ingredients are plants-based, certified organic or wild harvested, sustainable, fair trade whenever possible and ethical. At Okoko Cosmétiques, we pride ourselves in our formulation abilities and getting creative. Understanding cosmetic science, product formulation, GMP and sourcing allows us to deliver fresh, potent and highly effective skincare. We want to provide more variety in our niche, and believe in creating great products, based on intelligent formulas that are purposeful and useful. We don't use "gimmicks" in our formulas, "trendy ingredients" or exaggerated claims. 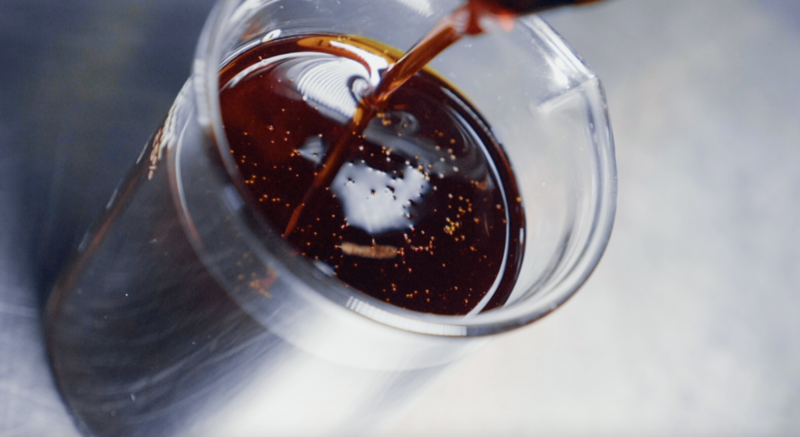 (However, we do use fresh, high-quality, rare and precious ingredients that have been used traditionally from different communities around the world with proven clinical results). We always select our foundation ingredients, functional ingredients and active ingredients with care and purpose. Synergy, efficacy and quality matter. Our products provide multi-faceted benefits, simplify your skincare routine and each ingredient is meticulously selected and researched so our products soothe, detox, rejuvenate, nourish, fortify and provide glow and radiance.